For impact investing to realize its true potential, we must change the mindset and narrative related to there being a “lack of pipeline” in underserved communities—rural and urban—to a perspective that people in communities create the environments in which outside investments can thrive. Communities become “investable” when local residents and institutions believe they are investable; when they invest a range of their own capital or resources; and when they are engaged in values-aligned, mutually beneficial external investor relationships. In the best of circumstances, residents—not those investing in their community—define collective priorities, determine what metrics to track, and measure progress. Residents are well-placed to understand the full range of capitals they possess, and embrace the responsibility of being owners and stewards of their community and each other. Incourage Community Foundation is a place-based philanthropy, community developer, and impact investor serving a rural area of central Wisconsin that some call the “rust belt”—a post-industrial economy suffering from disinvestment, and deeply embedded “one company town” cultural narratives and norms. In 2000, the sale of local paper manufacturer Consolidated Papers led to a 40 percent loss of area jobs within three years. The resulting concentration of power and control in the hands of few, and a sense of dependency and entitlement among residents (generations had planned their futures around a job at the mill) could have locked the community into a downward spiral of blame and distrust. In the process, we have learned that an infusion of financial capital by itself does not yield behavior change and inclusive, sustainable economic growth. Change requires that we connect and leverage different kinds of capital—including moral, human, social, intellectual, reputational, and natural capital. The importance of integrating and utilizing all types of capital in a way that aligns with mission is reflected in our Investment Policy Statement. This approach broadens the definition of wealth in our community, allowing us and the community to more properly and equitably value the contribution and potential of all residents. We have applied this approach within our community in three main ways. First, we are investing in residents to increase their sense of agency over, confidence in, and ownership of our region’s future. The most visible example is the Tribune—an active development project on the Wisconsin River in which we are lead investor, owner, and project manager, and are modeling our user-centered, connected capital approach. This project is about so much more than the building. New narratives and cultural norms are being realized around hope and the vision of a new economy. We are simultaneously building community capacity by equipping residents with the knowledge, skills, and tools needed to shape our investable community. As a result of participating in the Tribune process, residents report an increased sense of agency, optimism, attachment to community, and desire to invest locally. Upon completion, the Tribune will serve as a community accelerator, combining creative, entrepreneurial, and community spaces. This includes a culinary kitchen, makers space, and equipment rental for recreation on the Wisconsin River; access to technical assistance and microfinance for emerging entrepreneurs; and a café, microbrewery, game room, and both indoor and outdoor space for community gatherings. Second, we are changing the way we and our local institutional partners approach economic development. 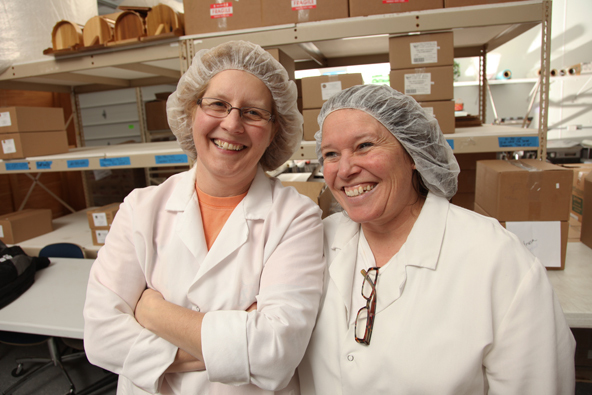 Incourage’s initial investments, beginning in 2010, included loans combined with grants to local institutions. Over time, we realized we needed to move beyond a narrowly defined financial capital mindset and practice to build a deeper understanding of user-centered processes, interdependence, and contemporary, inclusive approaches to economic growth. In partnership with the USDA and informed by national experts, we spearheaded Blueprints for Tomorrow, a 25-month initiative that is building social and intellectual capital—networks and skills—within important local public, private, and nonprofit institutions to generate a regional pipeline of collaborative investment opportunities that support an inclusive, sustainable local economy. Participant development projects include affordable housing, regional food system development, youth and healthy living, recreation, arts/culture, and entrepreneurial development. One year into Blueprints, more than 50 percent of program participants have engaged residents in the design and/or implementation of a project or initiative, and several development projects are seeking financing, with capital stacks that include impact investments and the region’s first New Markets Tax Credit transaction. Third, we are changing internal policies and modeling values-aligned behavior. As an example, our vendor/purchasing policy prioritizes local and under-represented vendors. It further promotes transparency in decision-making and values-alignment with respect to community stewardship, workforce practices, and environmental sustainability. In a region once dominated by a single industry—with tightly controlled, opaque supply chains—this purchasing policy allows us to initiate learning conversations focused on values-aligned capital deployment and community wealth. We realize, however, that in a global economy, we cannot shield local residents from further macroeconomic shocks to the local economy. In tandem with our local investing, we are increasing our engagement with the global capital markets in three main areas. First, we are learning to be active owners versus passive winners or losers. We have created ownership positions in traded companies that operate in our region so that we can vote our shares on behalf of the community and otherwise engage to reinforce practices that benefit local workers and the environment, while challenging practices not aligned with these core values. Second, we have created investment opportunities. Working with our advisors, we have created a new passive index fund of traded Wisconsin companies including both those headquartered in the state and those who employ a significant number of Wisconsin workers. As with our individual stock holdings, we will engage with the companies in this index to promote labor and environmental practices consistent with a vision of shared stewardship. Third, we are partnering to grow the impact investing field. With Greater Milwaukee Foundation and Wisconsin Philanthropy Network, we have surveyed Wisconsin philanthropies to assess the level of impact investing activity and interest, with the intention to grow the field through shared learning, co-investment, and statewide collaboration. Incourage takes a connected approach to workforce that recognizes the interdependence and relationship of business, worker, and community. These efforts are also intended to strengthen conditions for sustainable, inclusive regional economies, and investable communities throughout our region and state. We are deepening our commitment to accelerating workforce practices that produce beneficial change for employer, worker, and community. As an example, we are advancing impact investing strategies that support job quality through partnerships with local employers, National Fund for Workforce Solutions, Aspen Institute, and MIT Sloan School. Building on a 10-year partnership with the Knight Foundation, we are co-investing in a user-centered process for developing leading and lagging indicators of change in our region. We are asking individuals as well as representatives of local institutions: What counts as success? What are indicators of progress in this community that matter most to you? We believe indicators created and owned by the community (while also informed by global practices) will facilitate identifying and addressing emerging issues, increase the flow of values-aligned capital to the region, promote positive impact, and enable all stakeholders to track impact and growth through linked local and global measurement systems. And, finally, we are forging a new operating model as true community steward; advancing a long-term vision of inclusive community where residents and institutions are equipped with the skills, tools, and agency to shape the communities they want. We stand on the shoulders of early impact investing pioneers and are indebted to those who are building the field in ways that provide benefit to us all. We rely on national influencers and policy advocates, market makers, investor partners, and field builders. We also believe they need partners like us if we are to fully realize the potential of impact investing in leveraging local movements for change. Along with national platforms and marketplaces that add efficiency, we must build impact investing infrastructure from the ground up—through the engagement of local communities. Effective intermediation requires that we bring not only patient capital and a long-term perspective, but also the respect, trust, and knowledge that comes from being embedded in and “of” community. This relationship enables a deep understanding of culture, including a more-nuanced and intimate knowledge of individuals, institutions, and systems. This knowledge generates investment opportunities and helps manage risk. Together—with a shared, long-term commitment to “love of humanity” and reflective practice, we can build robust investment pipelines that acknowledge the value, wealth, and potential of all people and the places they call home. Kelly Ryan (@kryan_incourage) has led Incourage (@incouragecf) in realizing its simple yet bold vision of a community that works well for all people for 20 years. With a focus on relationships and human potential, Incourage is shaping a new model of community stewardship that puts people at the center. Mission Possible: How Foundations Are Shaping the Future of Impact Investing — This series, produced in partnership with Mission Investors Exchange, will explore what’s next in impact investing and what we can learn from some of the most innovative foundations.